Below you can view all the homes for sale in the Roxborough Park subdivision located in Littleton Colorado. Listings in Roxborough Park are updated daily from data we receive from the Denver multiple listing service. To learn more about any of these homes or to receive custom notifications when a new property is listed for sale in Roxborough Park, give us a call at 720-606-6881. 4 out of 8 brand new units are available for sale, reserve yours today! MLS#2349566. Your Castle Real Estate Inc. The garage has a kickout for your golf cart. Arrowhead Golf Course is nearby. MLS#2747589. COLDWELL BANKER RESIDENTIAL 54. Great home for entertaining or just getting away! ! MLS#9793064. RE/MAX Professionals. Views Views Views, of Downtown Denver, Chatfield Reservoir and State Park, DTC, Front Range, Ravenna Golf Course, completely remodeled, open floor plan, light and bright, NO popcorn ceilings, eat in kitchen, formal dining with wet bar, new carpet, all new paint, new plumbing, light fixtures and hardware throughout, new stainless steel appliances plus washer and dryer, new countertops throughout, updated baths with custom tile and finishes, fireplace, finished basement with large living area, bedroom (with egress window), work out/storage area, new water heater, electrical panel, private yard with 2 car garage, gated community, close proximity to shopping, restaurants, schools, plus much more! MLS#9348482. MB Denver Colorado Realty Source. Purchase this beautifully designed home or build your dream home on one of the three remaining lots from 0.75 to 1.21 acres. MLS#2224285. RE/MAX Alliance - Olde Town. Virtually maintenance-free exterior with tile roof. Truly an exceptional home! MLS#5271547. HOMES BY FARR. This home is a must see! MLS#4607262. RE/MAX Professionals. A 2nd bedroom is off the living/dining area and a 3rd bedroom is down the hall from the kitchen. MLS#1666900. RE/MAX Edge. Character defining features such as beautiful hardwood floors on the main level, designer paint colors and expansive outdoor living areas can be found throughout, creating a home that is exceptional yet low-key and unpretentious. MLS#9722263. LIV Sotheby's International Realty. This home boasts of many top of the line efficiency features throughout as well. MLS#5605185. RE/MAX Edge. Open floor plan, light and bright, vaulted ceilings, large rooms, custom cabinets, slab granite, new paint, new carpet, hardwood floors, custom built ins, updated plumbing, lighting and hardware throughout, main floor master with 5 piece bath and walk in closet, Fireplace, A/C, stainless steel appliances (gas cook top), including washer and dryer, window coverings, large deck and 2 patios (1 flagstone) with great views, new south facing driveway, professionally landscaped with sprinkler, walk to Roxborough Nat'l Park, trails, minutes to shopping, restaurants, parks, schools, Arrowhead Golf Course, Chatfield State Park plus much more!! ! MLS#3162185. MB Denver Colorado Realty Source. Very recently appraised above listing price. MLS#4676982. 303 REALTY GROUP INC. The builder is willing to work with the buyer on finishes and upgrades. MLS#4677390. RE/MAX Edge. There is a en-suite bedroom and a 4th bedroom and full bath on this level. 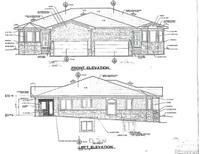 MLS#7005999. RE/MAX Edge. Hike, bike, boat, fish & camp all within minutes of home. MLS#8611201. RE/MAX Edge. completely custom walk out ranch, main floor master, cul-de-sac, mountain, golf course and city views, open floor plan, light and bright, vaulted ceilings with custom beam details, cherry hardwood, slate and travertine floors, custom knotty alder cabinetry and solid core doors, granite countertops throughout, one of a kind spiral staircase with artistic wrought iron handrails (on all staircases) inside the turret leading to the study/art space, beautiful waterfall feature, 2 fireplaces with stone surrounds, custom wood trim and crown molding, updated plumbing, lighting and hardware throughout, commercial grade stainless steel appliances including washer and dryer, wet bar with wine cellar, window coverings, professionally landscaped, 3 decks, sprinklers, stucco and stone exterior with stone turret, handcrafted wood corbels, custom concrete driveway, walk to Roxborough Nat'l Park, trails, minutes to shopping, Arrowhead Golf Course, Chatfield State Park plus much more! MLS#6282723. MB Denver Colorado Realty Source. There is an oversized 3 car garage for all of your toys too! MLS#7125498. RE/MAX Edge. There is an invisible fence which includes 1 collar for a dog. This is a wonderful home! MLS#3091206. LIV Sotheby's International Realty. Landscaped, sprinkler system, yard tools storage under the deck. MLS#7323853. eXp Realty, LLC. Fantastic home on nearly 1/2 acre backing to open space in cul-de-sac location*Hardwood floors on main level*Gourmet kitchen with granite countertops and SS appliances with breakfast bar and nook*Spacious dining room with access to the outdoor patio*Private master suite with sitting area, beautiful 2 sided fireplace, large walk in closet and 5 piece bath*Lower level has a media room and powder bath*Basement has an extra bedroom and bath and an exercise/hobby room*Sold As is*Buyer to verify sf, tax and HOA*Property was under contract and previous buyer did not move forward*Bring all offers!!! ! MLS#5157192. RE/MAX Alliance. 5 brand new units are available for sale, reserve yours today! MLS#8669253. Your Castle Real Estate Inc.
4 out of 8 brand new units are available for sale, reserve yours today! MLS#5220687. Your Castle Real Estate Inc.